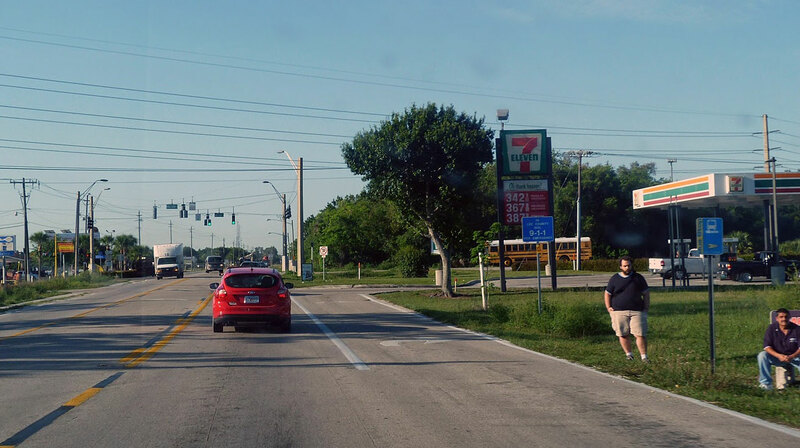 Plenty of states are saddled with a legacy of roads designed to be deadly for pedestrians, but Florida stands out as a special case. Orlando, Jacksonville, Tampa, and Miami have a monopoly on the four “top” spots on Transportation for America’s list of the most deadly cities for pedestrians [PDF]. The good news is, the Florida Department of Transportation has signaled a commitment to reform. The agency gave veteran traffic-calming expert Billy Hattaway the mandate to make safer, more humane streets for walking and biking standard practice within the department. Last year, as part of this effort, Florida DOT released a complete streets policy [PDF]. Now, the agency has followed up with an implementation plan, explaining how this policy change will be enacted. 5. providing ongoing education and training. Of particular interest for local agencies is that one of the documents that will be updated to incorporate a complete streets approach is the Florida Green Book. See p. A-7- A-13 for the detailed recommendations in each Green Book chapter. This is an ambitious plan to be completed over the next two years, with assigned timeframes for each element (see Table VI, p. 28). Kudos to the FDOT team, led by Billy Hattaway (and assisted by Smart Growth America), for developing this exciting Plan and for committing to its implementation over the next two years. There’s a lot riding on this effort. If it succeeds, Florida DOT will save lives. Elsewhere on the Network today: Better Cities & Towns says traffic engineers should take a page from the medical profession’s system of “self-analysis and correction.” Urban Review STL reports St. Louis wonders whether the city’s new downtown traffic study will do something to make things better for pedestrians. And The Urbanist argues in favor of building a “lid” over I-5 in downtown Seattle. I recently moved to Tampa from Indianapolis, not realizing how bad it really was in Tampa. Walking or biking anywhere is nothing short of terrifying and the sprawl is horrendous. I’m glad to see FDOT attempting to make changes. Let’s not forget that while FDOT is trying to come up with guiding principles for “Complete Streets” they are simultaneously pursuing the widening of exurban roads into limited-access commuter highways under the umbrella of “safety.” Local MPOs need to seize the reins and stop wasting our money on more sprawling exurban roads, “complete” or not.